Published by Mountainblog on 12/19/2017 . This top level ski jacket is fused with AEP Kinematic technology that gives perfected freedom of movement, analysing the points of motion during athletic performance. 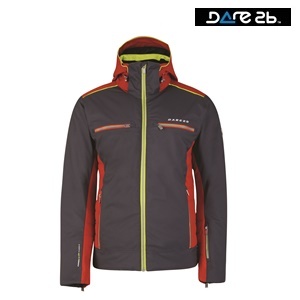 It is cut with Dare 2b’s Ared 20,000 waterproof and breathable Oxford fabric. This fabric is 360 degree stretch with inner stretch zones that allows for full unrestricted movement.